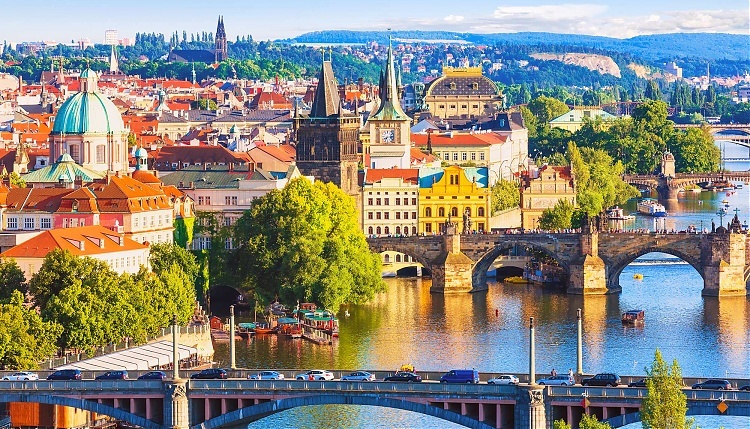 The Global Champions Playoffs will again be staged in the magical Czech capital Prague, one of the world’s most beautiful cities and a UNESCO World Heritage site, promising another week of unforgettable excitement for millions of equestrian fans worldwide. The thrilling GC Playoffs format will take place from Thursday 21st to Sunday 24th November 2019 at the dynamic O2 Arena, which hosts major concerts and sports events, and will be the only indoor event on the Longines Global Champions Tour and GCL calendar. The introduction of the GC Playoffs in 2018 saw a roller-coaster of eliminations, upsets and glory as teams battled through the quarter final, semi-final and final stages of the GCL Super Cup, with Madrid in Motion finishing on top. In the thrilling Longines Global Champions Tour Super Grand Prix, Edwina Tops-Alexander beat all the other winners of the Championship events to take the overall win - the Champion of Champions. Prague, known as “the City of a hundred spires”, will stage the GC Playoffs over four days at the O2 arena with top-level sport and great entertainment for approximately 14,000 spectators. The event will take place in the run up to Christmas when the fairytale city will have a special festive atmosphere where visitors can enjoy the contrast of Prague’s historic Baroque architecture and the famous Castle and the cool modern neighbourhoods and art and design zones.